Question: How do I change my monitor’s resolution? 1) Right-click your desktop and then click ‘Properties‘. 2) In the Display Properties pop-up window, click the ‘Settings‘ tab. 3) You can adjust your resolution by dragging the slider to the left to decrease the resolution or to the right to increase it. 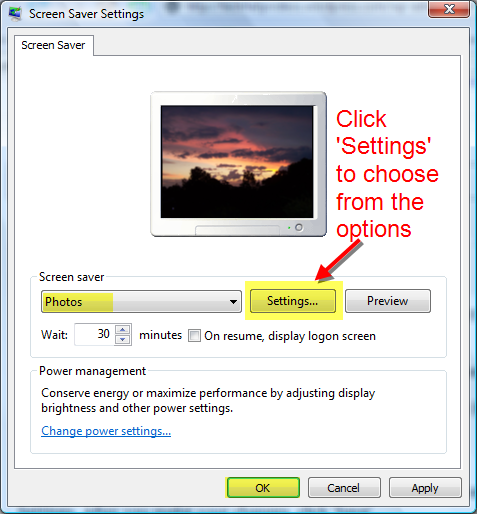 4) If the Monitor Settings dialog box appears, look at your display. If you want to keep the new resolution, click ‘Yes‘. If not, click ‘No‘, and return to step 3. 1) Right-click on your desktop and click ‘Personalize‘. 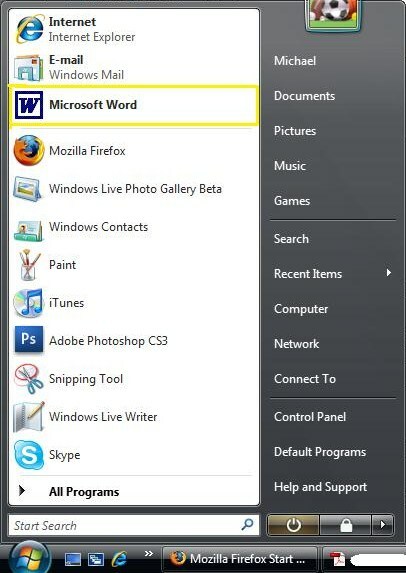 2) In the pop-up window, click ‘Display Settings‘. 3) In the second pop-up dialog, you can adjust your resolution by dragging the slider to the left to decrease the resolution or to the right to increase it. Question: How do I use photos and videos as my screensaver? 2) Click on ‘Personalize’ and then click ‘Screen Saver‘. 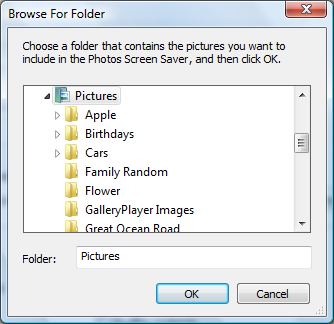 3) Int he Screen Saver drop-down menu, select ‘Photos‘. 4) If you want to specify a location for the pictures you want to use in your screen saver or modify the slide show speed, click Settings. After you make your changes, click ‘Save‘. 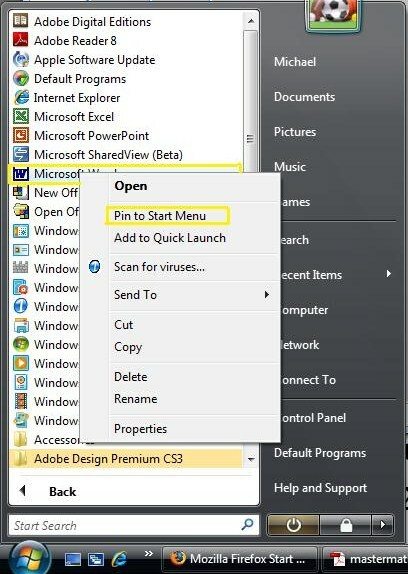 1) Click on the Start Menu and then click on ‘Control Panel‘. 3) Click Change your picture. 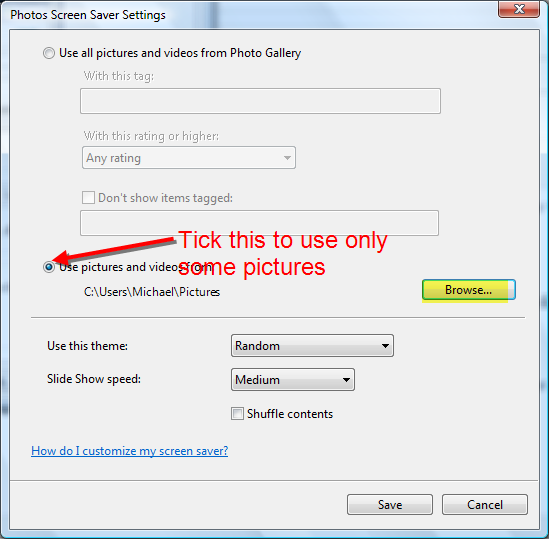 4) Click the picture you want to use, and then click ‘Change Picture‘ –OR– If you want to use a picture of your own, click ‘Browse for more pictures’, navigate to the picture you want to use, click the picture, and then click ‘Open’.